Posted on October 18, 2016. Subscribe to our blog by email. Welcome to the October 2016 issue of the Global Washington newsletter. Fifteen years ago, I had the privilege of meeting economist and Nobel Laurette Amartya Sen. His rights-based approach to global development, the idea that a person’s quality of life should be measured by rights and freedoms rather than economic wealth, fundamentally changed my thinking. I see this approach in practice with several GlobalWA member organizations, most prominently in those that fight for human rights globally. We’re spotlighting several in this month’s newsletter. I’m thrilled to announce the launch of the 2016 Global Philanthropy Guide and Member Directory. In partnership with Seattle Foundation and Seattle International Foundation, the guide spotlights ten GlobalWA members who received funding from Seattle Foundation’s Global GiveTogether, and also includes a full member directory of the 165 organizations that are working to improve lives in developing countries. An online version of the guide can be found here. I hope you will help celebrate the vibrant community of global development champions we have in our state by learning more in the articles below, browsing the profiles in our Global Philanthropy Guide, and joining us at our annual conference on December 8. Conference details and tickets are available here. Would you like to have a print copy of the GlobalWA Member Directory? According to Amnesty International, which monitors 160 countries and territories, in 2015 there were 113 countries that arbitrarily restricted freedom of expression; 30 countries that illegally forced refugees to return to their home countries; armed groups committed abuses in 36 countries; 61 countries locked up prisoners of conscience; 122 countries tortured or ill-treated people; war crimes were carried out in 19 countries; and 55 percent of monitored countries conducted unfair trails. While there has been progress made addressing human rights violations, atrocities still occur far too often. The Universal Declaration of Human Rights (UDHR) is the basis for international human rights law today. Created by the United Nations in its 1948 General Assembly, the UDHR spelled out in its 30 articles the basic civil, political, economic, social and cultural rights that all human beings should enjoy, and requires all member governments to uphold these fundamental rights. UDHR is the foundation for over 80 international human rights treaties and declarations, as well as regional and domestic laws established to enforce human rights. Of the 160 UN member States, each one has ratified one of the nine core international human rights treaties, and 80 percent have ratified four or more. The first two treaties were adopted in 1966 with one concerning civil and political rights, and the other economic, social and cultural rights (ESCR). ESCR includes basic human needs such as healthcare, education, clean water and access to food. Other treaties established the rights of children, the elimination of racial and gender discrimination, as well as the abolishment of torture. When a country signs a human rights treaty, it assumes the responsibility of creating legislation to uphold those rights. The Office of the UN High Commissioner for Human Rights (OHCHR) has a mandate to promote and protect human rights. It assists governments in enforcing human rights laws and treaties via technical training in the administration of justice, legislative reform and the electoral process. When domestic legislation fails to address human rights violations, the UN Human Rights Council, created in 2006, reviews the violations and make recommendations which may include addressing those violations at the International Criminal Court (ICC). Considered a last resort to seek justice for human rights abuses, the ICC, created in 2002 and located at The Hague, will review war crimes, genocide, crimes against humanity (large scale attacks against civilian populations) and crimes of aggression (armed forces of one State against the sovereignty or independence of another State). From 2002 to present, The ICC has opened investigations in 10 countries and has issued three verdicts. In 2013, UN Secretary General Ban-Ki Moon launched the Human Rights Up Front initiative with the goal of ensuring the UN system takes early and effective action to prevent and respond to large-scale violations of human rights. Large advocacy organizations such as Amnesty International and Human’s Rights Watch monitor human rights abuses and advance the protection of people’s rights all over the world. Global Washington members are also doing their part to advocate for human rights and bring about justice. iLEAP’s programs are centered around learning themes of social innovation and leadership and balance personal inquiry and reflection with social action and collaboration. An emphasis on relationship-building and hands-on learning connects participants with influential leaders and innovative organizations from a wide range of sectors including: global health, social media, environmental conservation, youth leadership, sustainable agriculture, human rights, technology and education. iLEAP programs are designed to inspire personal growth, deepen a sense of vocation, spark creativity, advance professional development and lead to social transformation. OutRight Action International is a leading international human rights organization dedicated to improving the lives of people who experience discrimination or abuse on the basis of their sexual orientation, gender identity or expression. 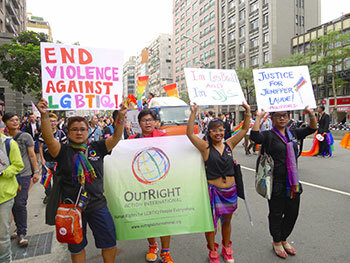 OutRight Action International strengthens the capacity of the LGBT human rights movement worldwide to effectively conduct documentation of LGBT human rights violations and engages in human rights advocacy with partners around the globe. One of the biggest challenges of working in Myanmar is the lack of trust created by five decades of military rule, in which the law was used as a weapon of control. Lawyers often have limited education, and are not respected in a system in which corruption is not just an add-on, but the very oil that makes the wheels turn. Partners Asia assists local groups in their efforts to fight back and bring fairness back to the justice system. 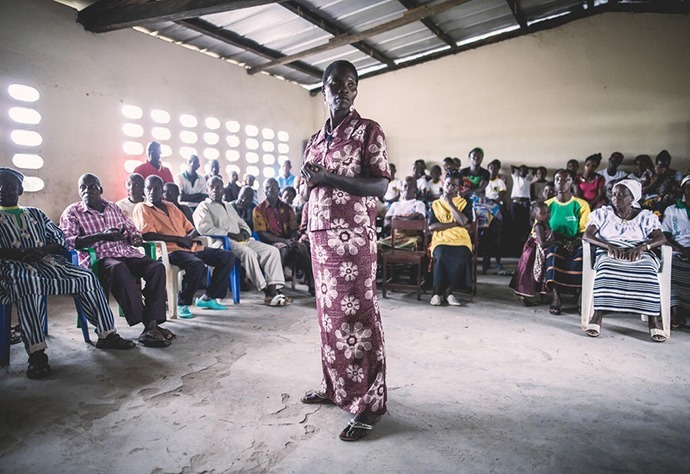 The Rule of Law program works to build capacity and support reform advocacy through both smaller more flexible “action grants” and larger organizational grants, particularly to communities in ethnic and rural areas. In its first two years, the program provided 126 grants to 85 organization. Seattle International Foundation (SIF) supports worldwide poverty alleviation efforts through grant-making and other activities, with a strategic focus on Mexico and Central America. SIF was founded in 2008 as a supporting organization to Seattle Foundation for the purpose of increasing and enhancing international philanthropy and development from the Pacific Northwest. In addition to grant-making, SIF convenes and partners with organizations from the non-profit, philanthropic, government, and private sectors to address root causes of poverty by piloting and advocating for innovative approaches to improving lives. Since 2008, SIF has granted more than $19 million to 188 high impact organizations in 68 countries, including $11 million in grants to Central America. The World Justice Project (WJP) is an independent, multidisciplinary organization working to advance the rule of law around the world. Effective rule of law reduces corruption, combats poverty and disease, and protects people from injustices large and small. It is the foundation for communities of peace, equity and opportunity – underpinning development, accountable government and respect for fundamental rights. The WJP engages citizens and leaders from across the globe and from multiple work disciplines to advance the rule of law and seeks to increase public awareness about the foundational importance of rule of law, stimulate policy reforms, and develop practical programs at the community level. Vista Hermosa Foundation (VHF) was established by Ralph and Cheryl Broetje in 1990 to carry out the mission of “bearing fruit that will last.” In addition to supporting local education programs in the Vista Hermosa community, VHF invests in the development of holistic, sustainable communities in East Africa, India, Haiti, Mexico and the U.S. They focus on community-based initiatives that are people-focused and locally-led. Rather than address needs through projects or inputs, VHF seeks to nurture mindset change. As people are able to embrace their own sense of worth, purpose and agency, build trusting, supportive relationships with those around them, and see available resources differently, they are empowered to affect change in their own lives. 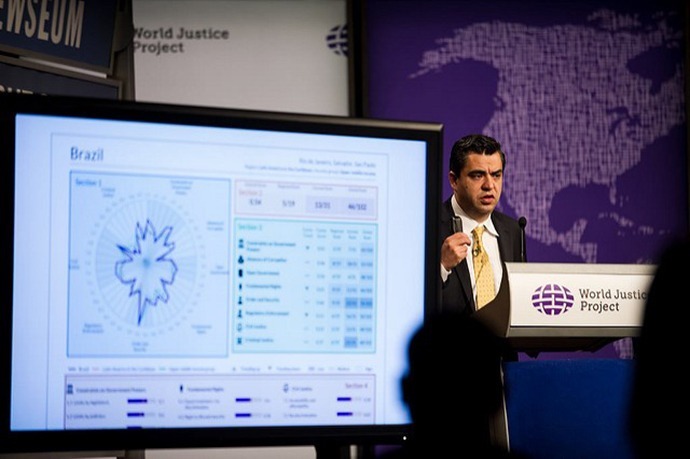 WJP Chief Research Officer Alejandro Ponce provides highlights of the Rule of Law Index results, measuring how well countries adhere to their own laws. The World Justice Project works to create a more level playing field, starting with the system of laws that determine people’s access to opportunity and equity. “Rule of law” is defined as a system with four universal principles: government, private entities and individuals must be held accountable; laws must be clear, public and equitable; laws must be administered fairly and efficiently; and justice must be delivered by competent and ethical individuals who have the resources to protect their communities. WJP’s work focuses on three overarching goals: encouraging government reform, either directly or indirectly; inspiring and catalyzing people to create programs on the ground globally that enhance the rule of law; and increasing the understanding and importance of rule of law. 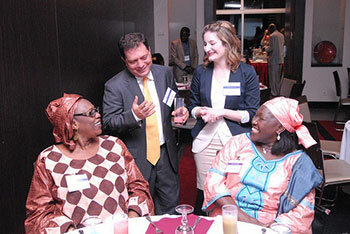 WJP convenes diverse leaders in Senegal to examine Senegal’s scores in the WJP Rule of Law Index. Friedman explained that the multidisciplinary approach is important because effective rule of law helps reduce corruption, improve public health, enhance education, lift people out of poverty and protect them from injustice. To be most effective, educators, religious leaders, health professionals, business and community leaders all need to come together. One of the WJP’s first goals was to find a way to measure the rule of law in each country. With the help of a Rule of Law Research Consortium, comprised of scholars from multiple fields producing research on how rule of law affects society, WJP developed the Rule of Law Index, which measures how the rule of law is actually experienced by average citizens in a country. In its first iteration, the index published data for six countries. An updated index will be released online this week, including data from 113 countries. In 2015, WJP also released the Open Government Index, which takes a more detailed look at one of the factors its indicators in the Rule of Law Index. Friedman explained that, based on data from the Rule of Law Index, WJP holds engagement activities to encourage people to utilize the data for change. One of these activities is convening groups of multidisciplinary actors globally at the World Justice Forum. WJP also holds regional gatherings and recently started working at a country level to address rule of law issues locally. For example, WJP convened community leaders in Malawi — from local grassroots NGOs to the country’s president Joyce Banda — to examine Malawi’s scores in the Rule of Law Index and explore opportunities to improve. The convening inspired a local project, which WJP supported, to harmonize informal and formal justice systems in the country. To date, WJP has convened local leaders in Tunisia, Malawi, Senegal and Indonesia to discuss rule of law issues specific to those countries and design solutions. 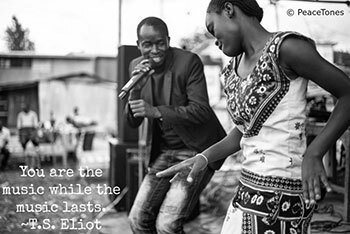 WJP grantees “The Peacetones” are teaching musicians how to protect their intellectual property rights in Haiti, Sierra Leone, Brazil, and Kenya. World Justice Project will launch its 2016 Rule of Law Index on October 20th, 2016 in cooperation with the Carnegie Endowment for International Peace. Please contact Matt Harman at mharman@worldjusticeproject.org for more information. 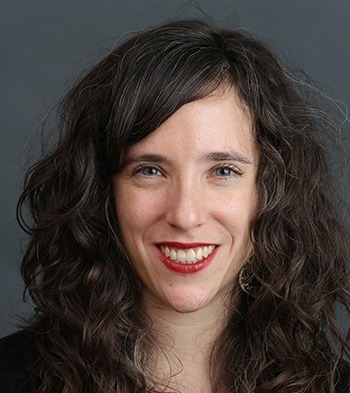 While working as a community organizer for an organization in Philadelphia, Jessica Stern learned an important lesson: no matter how isolated you feel, you can find community anywhere. When the organization utilized international human rights law to advocate for homeless women occupying abandoned buildings in the city, the group found a landless peasant movement in Brazil that was working in similar fashion. Stern, currently Executive Director of OutRight Action International, said being part of this collaboration changed her life. After her experience in Philadelphia, Stern found herself drawn to human rights advocacy work. In 2000, she received the Ralph J. Bunche Human Rights Fellowship at Amnesty International USA where she researched domestic human rights abuses experienced by the LGBTQ community. In 2004, Stern became the first researcher at Human Rights Watch (HRW) to focus solely on LGBTQ human rights abuses. She explained that it was difficult work because mainstream human rights organizations paid little attention to LGBTQ issues up to that point. Her work involved persuading the LGBTQ community to trust HRW to take on their issues, and changing the internal culture at HRW to more deeply commit to and advocate for the LGBTQ community. 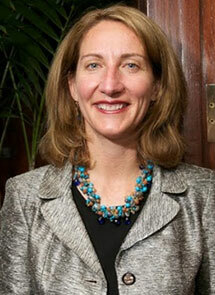 Stern has served as OutRight’s Executive Director since 2012 and has already accomplished several of her goals. She grew the budget by 100%, raised funds to have a second full-time staff member working at the UN (OutRight is the only LGBTIQ organization in the world focused on UN headquarters), and acquired consultative status for OutRight with the Economic and Social Council (ECOSOC) at the UN. 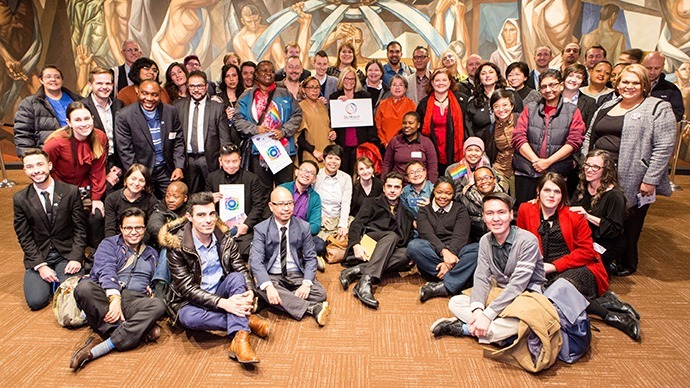 In its 25-year history, OutRight has helped increase the number of LGBTIQ community organizations and brought them together to advocate for LGBTIQ rights; helped produce open dialogue with governments to discuss LGBTIQ rights, laws and public policy; and helped produce a normative shift in international human rights discourse. Stern’s next goal for OutRight is to develop a Research Action Task Force. “One of the struggles we have is producing credible data that reflects our community’s reality,” explained Stern. She wants her team to gather data on human rights violations and discrimination towards LGBTIQ people to help influence public policy in every country. “The idea is to go from micro research projects that we and our partners have been doing, and start aggregating that data at the global level,” she said. “I hope this will be my legacy at OutRight. By contributing to knowledge production, we will have a clearer picture of the problems that our community faces.” Stern is able to tackle this project because a private donor has pledged to match funds that OutRight raises over a four-year period.